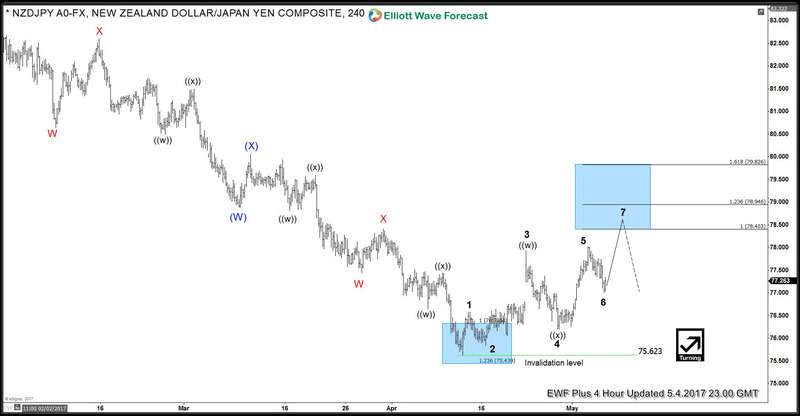 In this technical blog we’re going to take a quick look at the past Elliott Wave charts of NZD JPY published in members area of www.elliottwave-forecast.com. We’re going to take a look at the structures, count the swings and explain the trading setup. The chart below is NZD JPY 4 hour update from 05.04.2017. 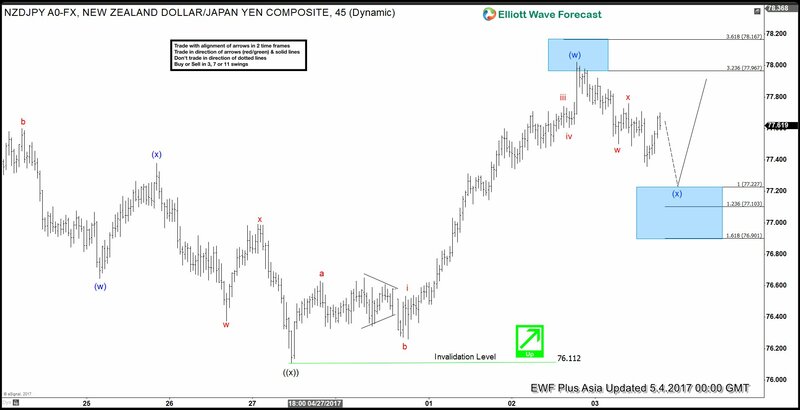 As our members know, we were pointing out that NZDJPY is having incomplete bullish swings sequnces from the 75.62 low. Structure has been calling for more strength in 7th swing toward 78.40-78.94 ( taking profit area). Once the pair reaches proposed area in 7 swings, we expect to see 3 wave pull back to correct the cycle from the lows. The pair is bullish against the 76.112 low. Wave (x) pull back is expected to make another short term low ideally to reach 77.22-76.90 ( buying area). As we got incomplete bullish sequences in 4 hour chart, we advised our members to avoid selling the pair and keep buying dips in 3,7,11 swings. Invalidation level for the trade comes at 76.90 and we’re targeting 78.40-78.94 area. Eventually the pair has reached proposed target, giving us nice profits. As of right now, the pair has scope to extend little bit higher still toward 79.03-79.32 area before find sellers for for a 3 wave pull back at least. Keep in mind market is dynamic. 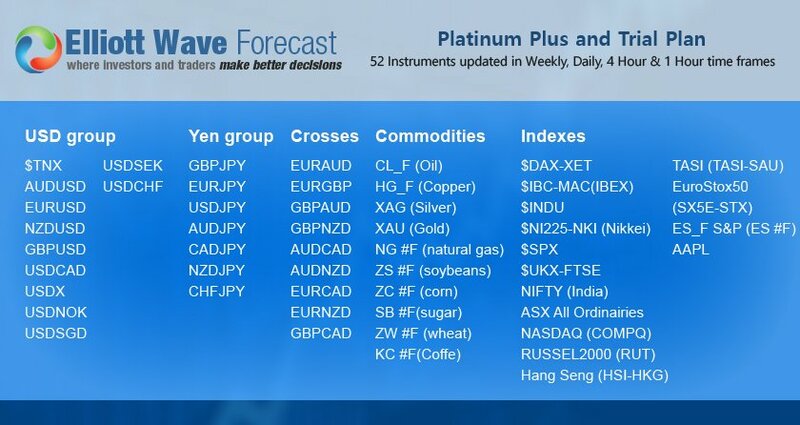 If you’re interested in the future path of NZDJPY or any of the other 50+ instruments we cover, join us now. 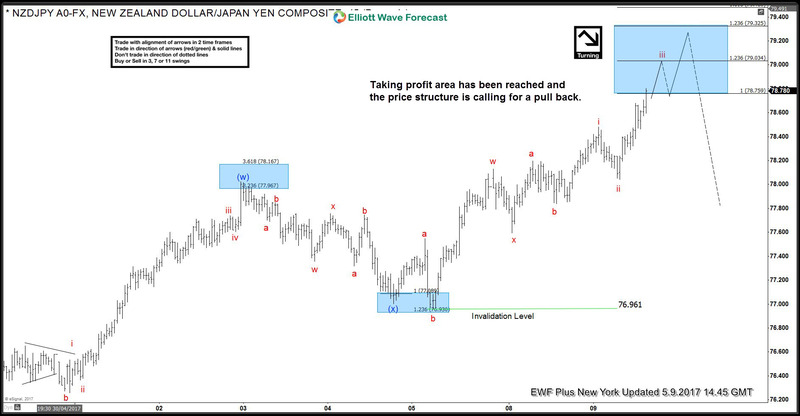 You can find Elliott Wave analysis in the membership area of EWF. If not a member yet, Sign Up for Free Trial now. Through time we have developed a very respectable trading strategy. It defines Entry, Stop Loss and Take Profit levels with high accuracy and allows you to make position Risk Free, shortly after taking it, protecting your account. If you want to learn all about it and become a professional Trader, join us now for Free. You will get access to Professional Elliott Wave analysis in 4 different time frames. 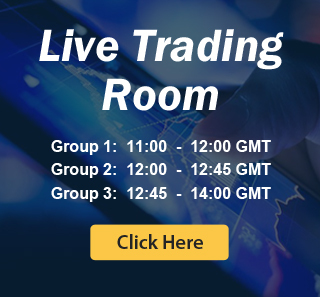 3 live Analysis Session done by our Expert Analysts every day. 24 Hour Chat Room support, Market Overview, Weekly technical videos and much more. Welcome to Elliott Wave Forecast.